Geoff Monks takes up the history of the family through the neglected area of teenage and adult stepchildren and examines the relationship with a step-parent after the death of biological parents. He investigates the contradictory perspectives of the shape, size and nature of Victorian families arguing that Peter Laslett’s ideas of nuclear family are blurred by the existence of these composite families. Using the diaries of Elinor Packe, alongside census and shipping lists data he demonstrates that blended kinship groups could be close-knit and that the bonds forged could continue to develop over time. Despite their prevalence in the social landscape we have little understanding of how these relationships played out in the long term. 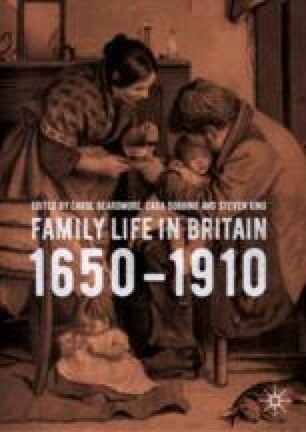 More importantly for this volume this case study highlights the contradictory nature of family shape and sharply outlines the difficulties historians face when attempting to define family.